El vicepresidente: Más allá del poder (Vice, Estados Unidos, 2018) / Guion y Dirección: Adam McKay. Reparto: Christian Bale, Amy Adams, Steve Carell, Sam Rockwell, Jesse Plemons, Eddie Marsan, Alison Pill, Stefania Owen, Jillian Armenante, Brandon Sklenar, Brandon Firla, Abigail Marlowe, Liz Burnette, Matt Nolan, Brian Poth, Joey Brooks, Joe Sabatino, Tyler Perry, Bill Camp, Shea Whigham, Cailee Spaeny, Fay Masterson, Don McManus, Adam Bartley, Lisa Gay Hamilton, Jeff Bosley, Scott Christopher, Mark Bramhall, Stephane Nicoli, Kirk Bovill, Naomi Watts, Alfred Molina, Lily Rabe. / Fotografía: Greig Fraser. / Música: Nicholas Britell. Estreno viernes 01 de febrero de 2019. 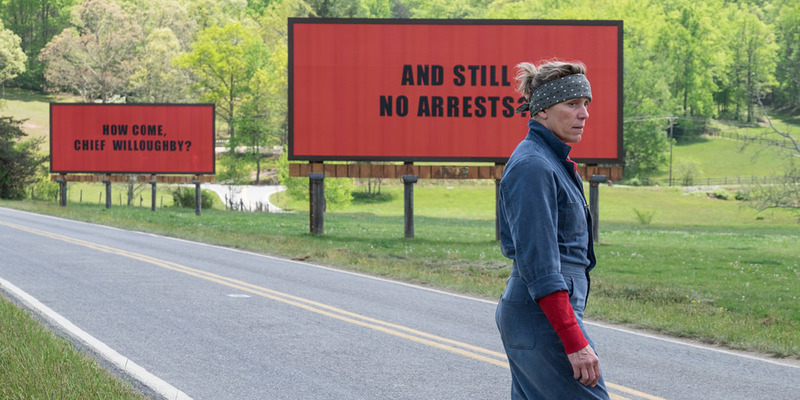 3 anuncios por un crimen (Three Billboards Outside Ebbing, Missouri, Reino Unido-Estados Unidos, 2017) / Guion y Dirección: Martin McDonagh. Reparto: Frances McDormand, Woody Harrelson, Sam Rockwell, Caleb Landry Jones, Lucas Hedges, Peter Dinklage, John Hawkes, Abbie Cornish, Brendan Sexton III, Samara Weaving, Kerry Condon, Nick Searcy, Lawrence Turner, Amanda Warren, Michael Aaron Milligan, William J. Harrison, Sandy Martin, Christopher Berry, Zeljko Ivanek, Alejandro Barrios, Jason Redford, Darrell Britt-Gibson, Selah Atwood. / Fotografía: Ben Davis. / Música: Carter Burwell. Estreno viernes 26 de enero de 2018. 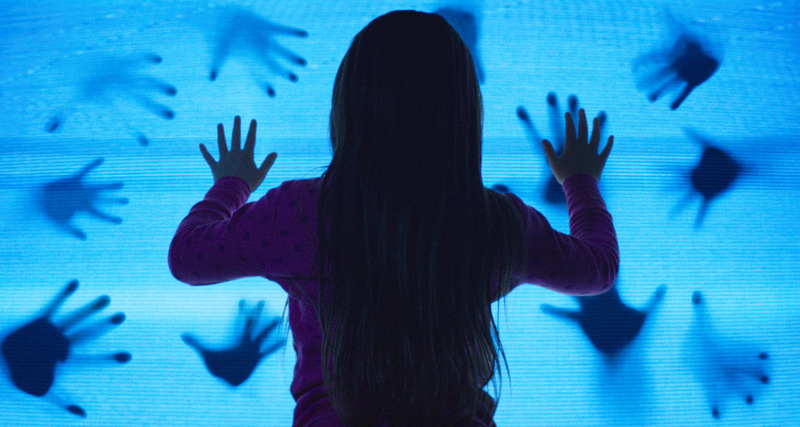 Poltergeist: Juegos diabólicos (Poltergeist, Estados Unidos, 2015) / Dirección: Gil Kenan. Reparto: Kennedi Clements, Sam Rockwell, Rosemarie DeWitt, Kyle Catlett, Jared Harris, Nicholas Braun, Jane Adams, Saxon Sharbino, Susan Heyward, Soma Bhatia, Karen Ivany, L.A. Lopes. / Guión: David Lindsay-Abaire, / Fotografía: Javier Aguirresarobe. / Música: Marc Streitenfeld. Estreno viernes 26 de junio de 2015. Terror en los tiempos de tablets, smarthphones y drones.